In terms of non-stop, free-flowing fight choreography which is high on energy and not wholly stitched together in the editing booth, this is one of Scott Adkins‘ best action roles. He is inventive and electrifying throughout – most notably in his exemplary routine with the film’s fight coordinator, Tim Man, who plays a supporting villain, and a weapons duel with Kane Kosugi. This being Adkins’ sixth film with director Isaac Florentine, it shows how well the two work together having arrived at their own distinctive shorthand, with Florentine’s handheld camera positioning as much a star of the action as the actors themselves. The technique was probably derived as a way of saving time and money during the limited days of shooting, but it ultimately works in favour of the performers. The story may not win prizes for originality, but Adkins is not one to phone in a leading performance, and the film remains busy and exciting throughout. Scott returns as American ninja Casey, who is now settled into a domestic bliss at his Japanese dojo with his new bride and mother-to-be Namiko (Mika Hijii). That is until Namiko is garrotted by a barbed chain whip thrown by an unknown intruder. Casey goes on a murderous rampage, heading off to Myanmar to settle at the school of one of his old ninja buddies before donning his dusty pyjamas to rumble in the jungle with a top Japanese drug lord. There is less of a ninja theme to this sequel, focusing instead on a more familiar drug cartel feud. But the great action more than compensates for any of its narrative flaws. 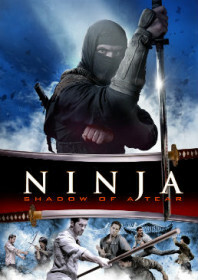 AKA: Ninja II; Ninja 2: Shadow of a Tear.